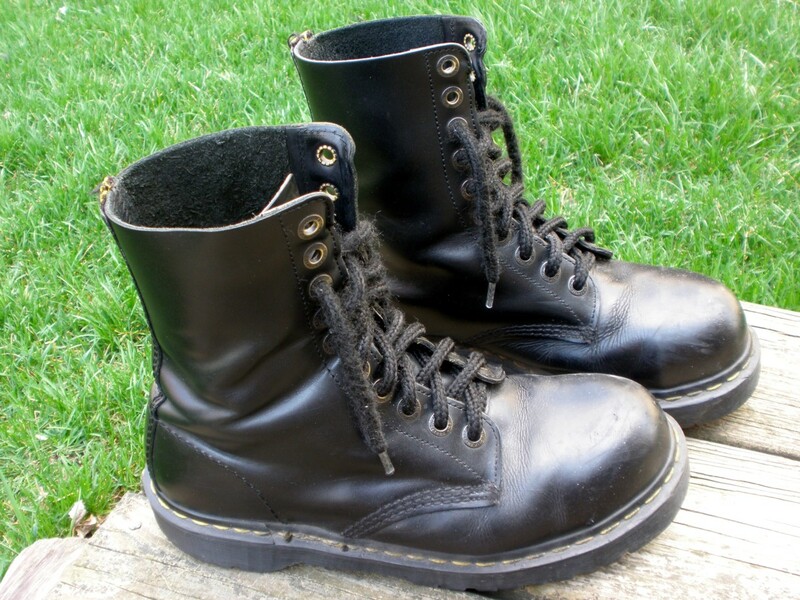 My beloved and trusted steel toe Doc Martens. They’ve been through a lot in their 10 years or so – many girlfriends, dive bars, a few different countries, a couple different Jeeps, several theater productions, and so on. And concerts. In fact, I apologize to all the gals and their little feet that they’ve stepped at crowded venues like Metro, Empty Bottle, Gogarty’s, Traxx, etc.